Does Your Logo Need a Redesign? We have seen so many redesigns of logo this year which includes that of Yahoo!, Google and many others . In truth, redesigning a logo is crucial. It would mean that you will change not just the look of your logo but your brand. Your logo has been there for so many years. 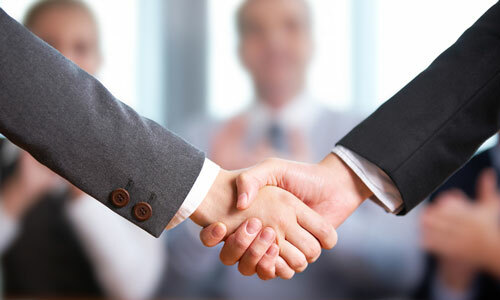 It is your company’s representation which people have recognized and trusted. It conveys a message and tells the audience what the company is. A logo is certainly more than just for visual appeal. That is why, redesigning it wouldn’t be an easy decision. So, do you really need a redesign or you can just stick with your old logo? If you will do a redesign, what are certain aspects that you need to consider? What is the reason behind your redesign? Is it really necessary? What do you intend to change? How do you think can it affect the clients and the company? Well, there are indeed so many questions that you need to answer before you start a logo redesign. But, how would you know that you need a redesign? 1. Change of company name. Well, this one is obvious. If you have decided to change your company name, then you have to entirely change your logo because this means a new brand and a new company too. With that, the audience will be able to distinguish the old and the new one. 2. Unclear or wrong logo message. If you keep on hearing the words, “what does your logo mean?” and you would explain its meaning over and over again to different people, it manifests that your logo’s message is unclear. It might even be complicated, crowded with too much detail or not at all connected to your company. If that is the case, you need a logo redesign. The logo has to have a strong connection to the company since it is your brand. There are instances when a logo merely relays a single service. If you have decided to add more services to the company, then you need to create a logo that will fit the company for all the services. That is why, it is safer to design one that doesn’t show a service especially if you have plans of expanding it. Most of the time, one would design a logo based on his dreams for the company or sometimes, just based on anything he can think of. But as the company grows, he would realize the logo is not appropriate for their principles and for the services they offer. The company might have merged with another company too which is indeed a great change. If your company has evolved drastically and you feel that your logo no longer fit it, then a logo redesign is best so that it can effectively reach the consumers. The last thing you want to have is an unprofessional logo. You want your consumers and users to know that you can be trusted and that you can transact with them professionally. How can you gain their trust if your logo looks unprofessional? So, do away with your logo design that uses clip art or uses font styles that are not at all presentable or related to your company. Go get a designer right away or you will lose your consumers at one glance on your logo. Well, this is applicable if you are still using a font style from the 1980s where computer is not yet used to create logos. You would definitely need an improved look for your logo. But this doesn’t mean that you have to go with the trend all the time. As long as your logo still looks well, links well with your company and is still effective, then retain it. Don’t just redesign because you want to go with the trends. Remember that trends today could be tomorrow’s clichés. Once your logo is designed based on fads, it will then be outdated extremely. 7. Logo is not versatile. A good logo works well in black and white and doesn’t bear so many colors so that it will not be expensive when printed on t-shirts, mugs and others. If your logo cost you a lot for printing and looks crowded with so many details in it, try to get a redesign. 8. Logo is similar to another logo. There are instances that this happen. If your logo is often mistaken as the logo of another company, then change it because you might end up looking like a cheap copycat giving your company a negative impression. This may happen by accident but it would be better if you change it especially if the company whose logo is similar to yours is more famous and established than yours. 1. Company value. Every company has its own values and principles. When starting to design a logo, you can start by listing down the words that best define your company and design the logo based on it. Make sure that one look at the logo will let the audience see what you intend to tell. 2. Check your competitors. Spying isn’t bad at all as long as you don’t copy their designs. The point is to know how your competitors are identifying themselves and how the target audience may react to it. If you think theirs is lame, then do something better. If their logo is effective, find out what made it effective and try to integrate something similar to it but of greater impact. 3. Assess your company. Look into your company. What changes had occurred? Are there changes in the services? Is the company bigger now with more employees? Do you have a wider scope for your business in terms of target audience? Know every change that occurred and try to reflect that growth in the new logo. 4. Consider online usage. Nowadays, the web has a huge impact to companies and even to your logo design especially that most people rely on information from the web. So, when designing a logo, make sure that it will look good online, will load easily when used as banner logo, will be easily recognized, has fine and sharp quality and has visual appeal. The web especially social media will have a great impact on your company and hence, is an important consideration even for your logo design. 5. Brand coherence. With your logo being a brand and personality for your company, you have to make sure that everything associated with it goes well with it. Your logo, typography, website, color schemes, imagery and message have to be coherent to build a strong brand. The logo is your brand. Your brand builds trust and confidence to your avid clients who unceasingly patronize your products and services. 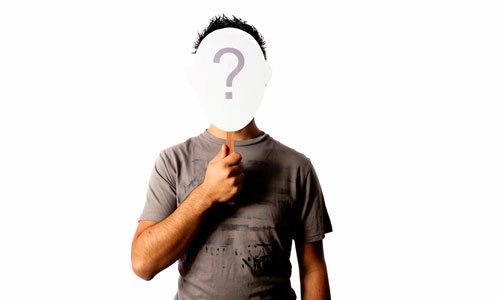 Since your brand has reached many people, it is important that you retain the identity despite a redesign. This will make it recognizable and would avoid confusion to your users. You can retain your identity by using the same color scheme, using the same font style or using the some elements from your previous logo. But then, you have to decide if you are just updating your logo or completely. It is important that you assess everything well. If you think a new logo is needed, a good way to prepare your consumers is to let them know about the logo change before you do it. This way, they are aware of the big brand change you are going to do. Aside of giving awareness, you are also creating a buzz so that the redesign will be talked about just like how Yahoo! did with their 30 Days of Change wherein they showed a different logo each day until the 30th where the final Yahoo! logo was revealed. Well, not all logo redesigns are successful. Others have a negative effect to the audience especially if the new design is worse than the old one or if it is unrecognizable. But then, no matter what the crowd says, as long as your logo is already there, they’d get used to it and still patronize your brand. But then again, you have to always think of what the logo will convey to your consumers. Want to see some logo designs that have evolved through time? You can take a look at Great Stories Behind Popular Logo Evolutions. If you have some tips to add on the above list, feel free to let us know through the comment section below.